SevinI'm very late to this, but no one mentioned it to me until now. Apparently my HUD does not work with tf_scoreboard_mouse_mode. Is there something I need to add to make the popup show up? Nothing happens when you click on a player in my scoreboard with that command set to 1 or 2. I based my hud off your hud before MYM and the scoreboard worked fine with mouse mode 2 before I modified it. MM1 shows the cursor at all times and MM2 only shows it on click. Maybe that is the reason? Koncept Jackal176Apologies if this has already been answered here before, but I've been trying to make a custom HUD for some time now, and while I was trying to update it for Meet Your Match, I noticed that the SpectatorTargetID would be in the wrong place (not above the target's head) or not present at all. I tried messing around with the SpectatorGuiHealth.res file, I even deleted it and started it from scratch but the issue is still there. Can anyone help me? tf_hud_target_id_disable_floating_health 0 should be the command to replace the value above the player's head. Then you can go and edit the file to your liking. 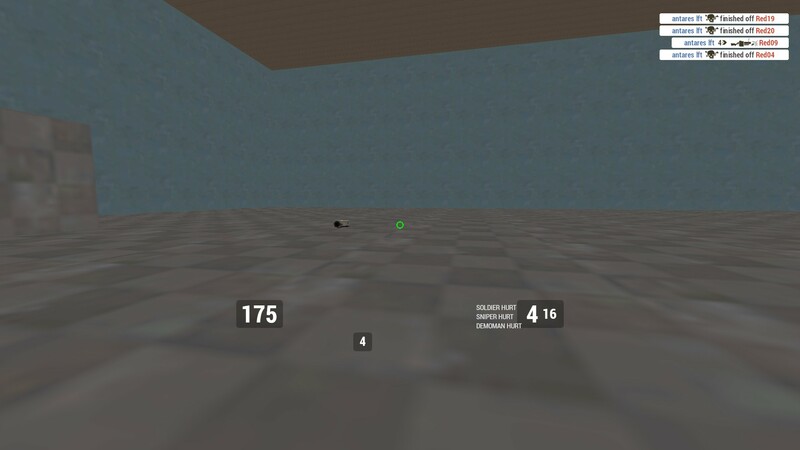 [quote=Koncept][quote=Jackal176]Apologies if this has already been answered here before, but I've been trying to make a custom HUD for some time now, and while I was trying to update it for Meet Your Match, I noticed that the SpectatorTargetID would be in the wrong place (not above the target's head) or not present at all. I tried messing around with the SpectatorGuiHealth.res file, I even deleted it and started it from scratch but the issue is still there. Can anyone help me? XenThePybro SevinI'm very late to this, but no one mentioned it to me until now. Apparently my HUD does not work with tf_scoreboard_mouse_mode. Is there something I need to add to make the popup show up? Nothing happens when you click on a player in my scoreboard with that command set to 1 or 2. Yeah, the cursor shows up, but nothing happens when you click on players. 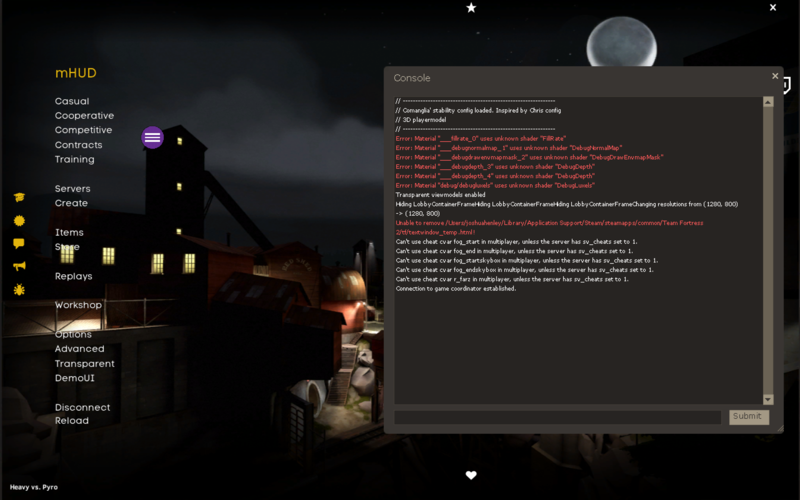 Sometimes I get this issue and it is fixed by restarting tf2/rejoining the server. I think it is a limitation with mouse mode and not your scoreboard. Do you have this problem and if you do have you tried testing it on different huds' scoreboards? And does anyone know all the files I need to edit to edit the matchmaking and casual lobbys? Jackal176 Koncept Jackal176Apologies if this has already been answered here before, but I've been trying to make a custom HUD for some time now, and while I was trying to update it for Meet Your Match, I noticed that the SpectatorTargetID would be in the wrong place (not above the target's head) or not present at all. I tried messing around with the SpectatorGuiHealth.res file, I even deleted it and started it from scratch but the issue is still there. Can anyone help me? Try playing around with values in resouce\ui\HealthIconPanel.res. 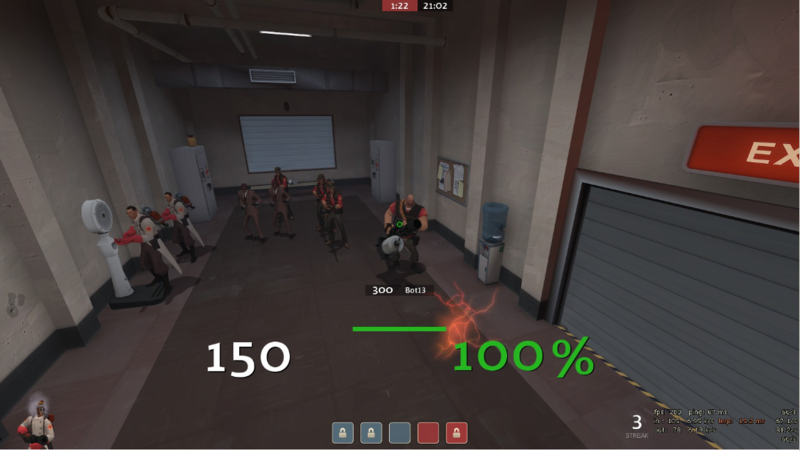 This will move the floating health numbers when tf_hud_target_id_disable_floating_health is set to 0. You will need to mess with the values in CMainTargetID in hudlayout.res to move the health number when tf_hud_target_id_disable_floating_health is set to 1. [quote=Jackal176][quote=Koncept][quote=Jackal176]Apologies if this has already been answered here before, but I've been trying to make a custom HUD for some time now, and while I was trying to update it for Meet Your Match, I noticed that the SpectatorTargetID would be in the wrong place (not above the target's head) or not present at all. I tried messing around with the SpectatorGuiHealth.res file, I even deleted it and started it from scratch but the issue is still there. Can anyone help me? How do I edit the casual and competitive lobby screens? XenThePybroHow do I edit the casual and competitive lobby screens? How can i add the "CONTINUE (E)" to another hud? EDIT: NEVERMIND. I GOT IT. Is there any border that is used all the way through the stock hud or do I have to edit all of them in clientscheme.res? What files do I need to edit to edit the "you found an item!!!!!!" screen? You can edit you have new items panel in file named "itempickuppanel.res"
How do I make a dropshadow border or make hud elements blurry so I can position one underneath a hud element to give it a shadow effect? XenThePybroHow do I make a dropshadow border or make hud elements blurry so I can position one underneath a hud element to give it a shadow effect? You can make it by vtfs or vmts. If you want a blur dropshadow you need to make vmt with blur, myself I just take vmts from JarateKing's PrismHUD. You just need to take from his thumbnails/hp REFRACTnormal.vtf and .vmt, then you pick a vmt that will be your border I picked REFRACTblurBlue, because it gives as much blur as possible. Do I need to leave the name of the vmt the same or can I change it to what I named the file? edit: I can't get it to blur. It just appears as a black box. Is it possible to remove the % from the charge label so it's just the numbers? Hello, does anyone know how to make the control points round on a hud? ProSkeezIs it possible to remove the % from the charge label so it's just the numbers? PrexHello, does anyone know how to make the control points round on a hud? [quote=ProSkeez]Is it possible to remove the % from the charge label so it's just the numbers? I'm trying to get the vtf xhair to work on wavesui, but I get a checkered pink and black box layered OVER the shadowed default xhair. like if i make the xhair scale big enough i can see it but its covered by this pink and black checkered box. Anybody know what I might be doing wrong? I've installed all the fonts and enabled the vtf crosshair and everything. I'm just baffled as to why when the vtf xhair is enabled, it exists, but you can't see it unless you make it giant (like scale 80) where you can see it peeking out from the edges of the black and purple checkered square. Sorry if I'm got going in detail, I'm kinda new to this sorta thing. I have been fiddling around with icons for my hud but I can't get them in a higher resolution in game. I created a higher resolution photoshop file and redid all the shapes but it still looks the same. I am using this to create my vtf's as I am on a mac and cannot get vtfedit or the photoshop plugin. Does anyone know any solutions? I know that it is a problem with the image because when I use the hitmaker from toonhud in its place I don't have this problem. I have been fiddling around with icons for my hud but I can't get them in a higher resolution in game. I created a higher resolution photoshop file and redid all the shapes but it still looks the same. I am using [url=http://tf.heybey.org/vtfconv/]this [/url] to create my vtf's as I am on a mac and cannot get vtfedit or the photoshop plugin. Does anyone know any solutions? You can edit the location in hudlayout.res. edit: What animations am I able to play around with in the main menu and what are they for?